which is not strikingly beautiful." Growing up in the culturally diverse city of Seattle, I was exposed to the arts and music from an early age. I was enamored of my mother’s artistic abilities, a trait that many in my family possess. While art was my favorite class in school, it was paramount that we excelled in the more academic classes as my father was an English professor, valuing a good education above all. I looked forward to summer when I could attend classes in art at the University of Washington. I began playing violin at an early age, undoubtedly influenced by the classical music my parents continually played in our home. Seattle has long been known for its multifarious music scene, so being a member of the Seattle Youth Symphony Orchestra played an important role in my younger years. I continued in high school playing in the Holy Names Academy String Ensemble. Fast forward to college, I would have been happiest pursuing a degree in an art-related discipline but was encouraged by my father to obtain a degree in a field with a solid foundation. Yet my electives were still art and music, and I once again, played with the Fairfield University Chamber Orchestra. 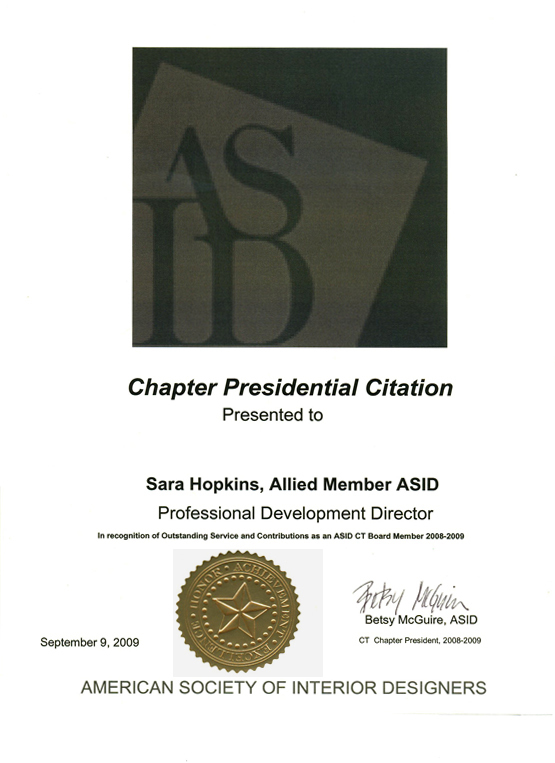 Years later, realizing my true passion, I returned to school to study interior design, and upon finishing, began a varied career in the design world. From the start, I opened The Enchanted Cottage on Elm Street in New Canaan, an antiques and home furnishings store. It was through here that I began working with my first interior design clients, some of whom I still continue to work with today, some of whom are now working on their third home with me. After five years, with not enough time for my clients and with the downturn in the economy, I decided to close my shop. I began working as senior designer with a prestigious store, gaining extensive knowledge about product resources and cultivating strong relationships with company representatives. It was with this breadth of information and associations that I was asked to embark on a new direction in design. 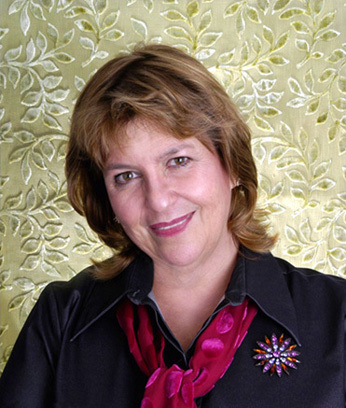 In the fall of 1998, I was hired to manage and develop The Wakefield Collection, a showroom to the design trade, all the while, continuing with my own firm, Sara Hopkins Interiors. The showroom quickly became a viable, one-stop shop, allowing the designers of Fairfield County to streamline their time and costs by avoiding having to make more frequent trips into the city. As the showroom expanded and many more lines were added, the designers came to rely on me for my expertise in furnishings, textiles and accessories. In 2003, I was approached to open another trade showroom in Greenwich, Designers Loft and Workroom. The direction for this showroom this time around was with a more transitional to modern style, an exciting, challenging and new direction for our changing industry. Eventually, I made a decision to grow my own design business and work strictly with my own clients thereafter. What has turned out to be an unexpected development is that my own business has become multifaceted with clients that are homeowners or designers. For all the years working with the trade, there are still a group of designers that continue to work through me for resources for their own clients. I’ve always enjoyed the duality of my career, and I continue on this path even today. Solo designers frequently say that working in their own firm, the one missing component is the interaction with others in design. I truly have the best of both worlds. Back in 2004, I became an Allied Member of ASID. 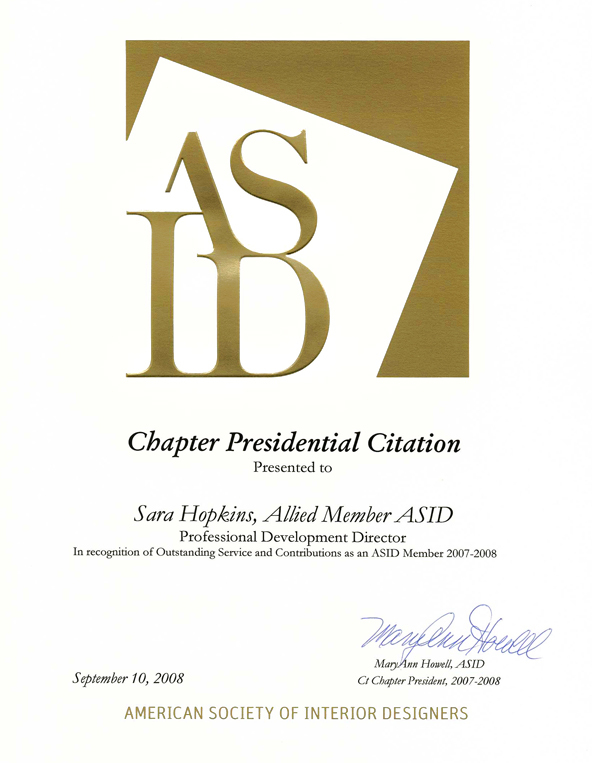 Since that time, I have held a two year position as Professional Development Director of the ASID CT Chapter, a two year position as Financial Director, a one year position as President Elect and presently, I have just begun my Presidency for this year. 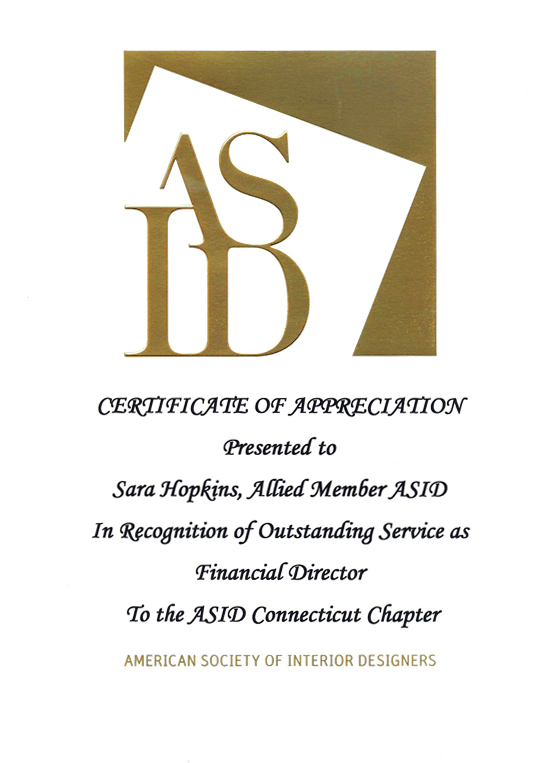 My involvement with ASID has introduced me to so many design professionals. I’ve worked with and learned so much from so many leaders of this society. I’ve cultivated the strongest network of colleagues that support our industry and that enable me to do the best job I can possibly achieve. I have built a strong reputation as a professional with a keen sense of color, style and placement. I am valued for my competence in creating designs that reflect my client’s individual lifestyle and needs while completing projects on time and within budget. 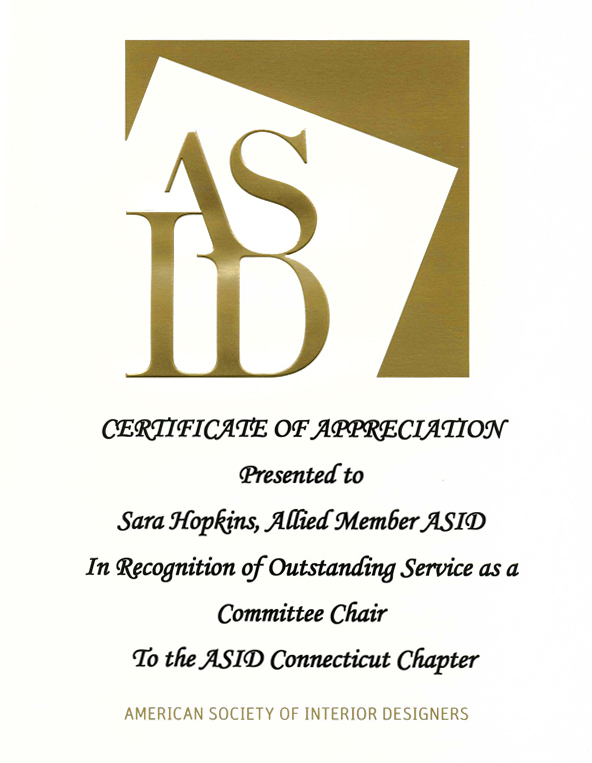 Most of all, it brings me great joy and satisfaction knowing that my work brings happiness to the lives of those I am so fortunate to work with.